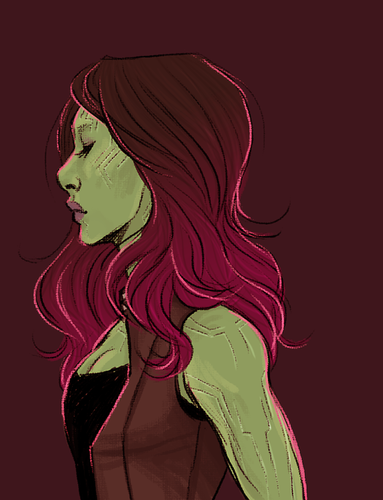 Gamora Fanart. . Wallpaper and background images in the Guardians of the Galaxy club tagged: photo. 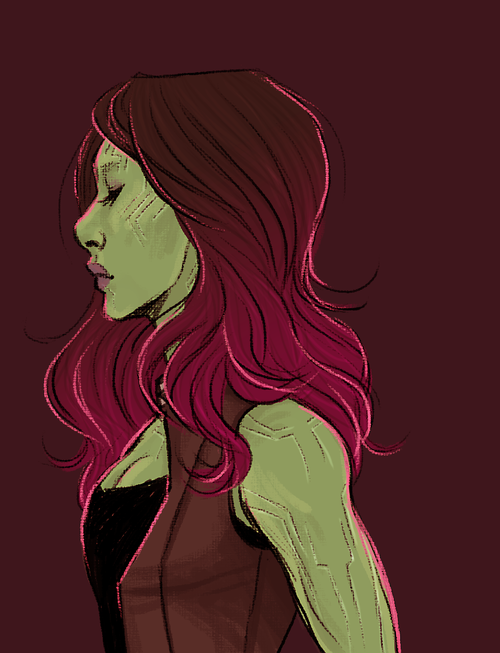 This Guardians of the Galaxy fan art contains 애니메이션, 만화, and 만화책. Chris Pratt with baby raccoon!! Rocket Raccoon: What's a Raccoon? 'Guardians Of The Galaxy VOL. 2' Bloopers!